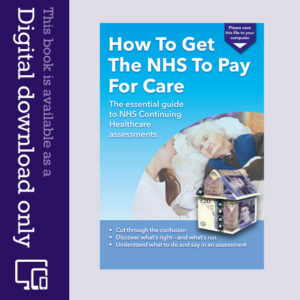 Many people who are battling to obtain NHS Continuing Healthcare funding for an elderly relative in full-time care will find useful ammunition by exploring two of the well-known test cases – the Coughlan case and the Grogan case. We’ve pulled out some key arguments for you to make it easier. The landmark Coughlan case was brought by Pamela Coughlan, who had been seriously disabled in a road accident. When her care funding was taken away, she brought a legal challenge against North & East Devon Health Authority. In 1999 she took her case all the way to the Court of Appeal – and succeeded in having her Continuing Care funding reinstated. In 2006 Maureen Grogan successfully challenged Bexley NHS Trust in the High Court about their decision not to provide her with fully-funded NHS care (Continuing Care). Mrs Grogan was severely disabled by multiple sclerosis and was chronically ill. The High Court ruled that the NHS’s decision not to provide care was “fatally flawed” and that the NHS had wrongly moved the goalposts in defining her needs. Remember that every Continuing Care assessment should be ‘Coughlan compliant’. This means that the assessment must be lawful and adhere to the principles in the Coughlan case. Pamela Coughlan received full-funded NHS Continuing Healthcare funding for her needs. It is therefore logical (as the judge states) that anyone whose needs are the same as or greater than Pamela Coughlan’s will also meet the criteria for full Continuing Care funding. If you hear NHS assessors making comments that your relative is unlikely to be successful, ask them if the assessment has been properly carried out in the light of the Coughlan case. Some assessors state that they have never heard of the Coughlan case – and this is a good point at which to explain it to them. If they have already heard of it – AND they realise you have too – you are in a better position, although many families report that assessors do not necessarily follow its principles. Similarly, if the assessors or the Decision Making Panel say that your relative has social care needs, not health care needs, and that you will need to pay for care, remind them of the mistakes made originally in both test cases where care needs were improperly defined. Say that you will have no hesitation in taking your case as far as possible through the courts. Whether you ultimately do that or not is your choice. But your statement will let the NHS know how seriously you take the assessment process and that you will not accept anything less than a fully legal approach to Continuing Care funding. If you feel that an assessment is not being conducted properly, or you disagree with the verbal recommendations being made, ask the assessors how familiar they are with actual healthcare law (not the Dept of Health guidelines, but the law). Very often they won’t be familiar with case law – the legal framework in which they themselves actually operate. At this point you can remind them of the Coughlan and Grogan cases, and state that your position would be upheld in a court of law. If the assessors say that they are following the Continuing Care guidelines and that’s what counts, remind them that the guidelines do not override the law. If the assessors seem particularly obstructive, they could be in breach of the Theft Act 1968. If you’re told that your relative is ‘stable’ and that their needs are ‘predictable’, and for that reason they are ineligible for fully funded NHS care, remind the assessors of the judgment in the Coughlan case; the case stated that the needs of people with ‘stable yet chronic conditions’ (not just acute conditions) should be reviewed in a Continuing Care assessment, and that the NHS may have a duty to fund care for those needs. If your relative is in a nursing home – or in a residential home and receiving what is effectively nursing care – and yet you are struggling to get funding, remind the assessors of their duty to apply a ‘primary health need approach’. This came from the judgment in the Coughlan case – and the judge commented that the ‘vast majority’ of people in nursing homes should have their care fees funded by the NHS, and that only if someone’s health care needs are just ‘incidental’ to their overall care needs should the responsibility be passed to Social Services for means testing. So take courage from Pamela Coughlan and Maureen Grogan, who fought before – and won. Read more about the Coughlan case. Read more about the Grogan case. I am a Manager of a nursing home who received a gentleman via Fast Track Continuing Healthcare (CHC) in November 2017 he was given six weeks to live because of his poor health, but 10 weeks later he is still alive. A few days ago he had another NHS CHC assessment and the assessors said the likelihood is that his funding will be taken away. Both me and his family were horrified as his condition has deteriorated since the fast track assessment but the assessors have said that because his condition seems stable he is not eligible for any more CHC funding. Can funding be removed even though the person is more frail than when the fast track funding was awarded? Entitlement to funding is supposed to be based on need, not care. A managed need is still a need. Unfortunately the assessment process tends to focus on care. If the gentleman’s needs are equal to or greater than those of Ms Coughlan he should continue to be eligible for full funding. If you haven’t got one already, you (or the family) should request a full copy of the assessment. Firstly, check that it properly represents the gentleman’s needs and secondly check whether those needs are sufficient to exceed the Coughlan minimum. Wait for their decision (it might be favourable), but then if you disagree in any way, write to the NHS Continuing Healthcare team and request an urgent review. They could be trying to defraud you out of something you are legally entitled to. Simple as that. Many thanks Angela. We are now filing our own claim against the council. I will keep you updated on the progress. Thanks again for all your effort to get this information out there. It is invaluable. That sounds extremely stressful, Andrea. It sounds as though the council have few if any grounds on which to take you to court. You may find they are bluffing. If there has been no wrongdoing on the family’s part then it’s likely the council would not risk losing a court battle. You may also want to see advice from the person who originally advised on the trust. Thank you for such a brilliant informative site. Some of our severely disabled young adults are at this time being rejected from Continuing Health care and being transferred to Adult Social care. These young people have Quadraplegic Cerebral Palsy, are non ambulant have Epilepsy with multiple complex needs. Their situation hasn’t changed but the new assessment has downgraded some of their domains in The Decision Support Tool. We view this as a cynical attempt to deny funding and are appealing. So thank you so much once again for all the help this site has given us. Thank you for your very kind words, Ann. That’s such nice feedback on the website. Your name rings a bell from many years ago but I am not sure if its you, we have a daughter called Becky who also has Quadraplegic Cerebral Palsy she has also been taken out of Continuing Healthcare (CHC) and has now been placed in Adult Social Services. We are in the process of an appeal as these young adults do not fit into there boxes because of the vast array of there complex needs. I have been in touch with the local MP but they just do the sending of emails from me to them and them to me to the local authorities not much help really. This has been going on for nearly 15 months now. I was wondering if you had any ideas which may help us. It has been very interesting reading the comments and your replies. My mom has Parkinson’s with moderate to sever dementia. She is unable to administer her own medication and cannot walk unaided. Her recent assessment for Continuing Healthcare (CHC) has been refused stating her healthcare needs can be met without clinical assessment or intervention. I agree with this but only because mom is paying for a care agency carer to sit with her 11 hours a day and she has the support of family. If we took away that care mom would be unable to feed herself dress herself or go to the toilet. I feel mom has been penalised because we are managing the situation. Would we have geounds to appeal? Helen – it sounds as though you do have grounds to appeal, yes. I can’t say whether or not your mum will ultimately be eligible, but remember that managed needs are still needs and they still need to be funded – which is the whole point of the CHC assessment. Also, the qualifications of the people actually delivering the care are irrelevant. Anyway, they did the assessment and uprated dad’s needs in a couple of domains. Then they decided that he qualifies for full funding. So although I’m not entirely clear what kind of exercise this was, I’m happy with the outcome. Now I’ll be pursuing a retrospective claim for the previous four years. Thanks for all your help, Angela, and good luck to anyone fighting their own case. Great news, Steve – and thanks for your kind words. Jane – a Needs Portrayal is usually done during a retrospective claim. It’s a document that is supposed to gather together all relevant evidence relating to a particular case. Make sure you see the document before the case goes to the decision making panel, as (in our experience) there are often errors and omissions. The care home my father went into was in a different Clinical Commissioning Group’s area from his home. Although two nursing reviews had been carried out at the new location by his original CCG, nobody had informed the new CCG (or social services) that he had moved. After my Continuing Healthcare (CHC) funding claim was eventually approved (by the new CCG) it was backdated to the date of my application, but I was told that they could not consider a retrospective claim beyond that because they had not been made aware of dad’s presence in their area. They told me that since it was the responsibility of the old CCG to hand over to the new one I would need to pursue any retrospective claim with them. I have yet to establish the truth of that advice and in the meantime dad has passed away. So I need to find out who is legally responsible for notifying the CCG. It could be any of: 1) the old CCG; 2) social services; 3) the care home; 4) the new GP practice under which dad registered, or 5) the family. If anyone can shed any light on this I would appreciate it. Hello, I have been reading the comments on this site for some months. I would like a bit of advice. I have just received my late fathers Decision Support Tool (DST) back stating he did not meet the criteria for Continuing Healthcare (CHC) even though the care home stated that they could not meet his needs, to the point when he was admitted into hospital with a UTI the care home refused to have him back. On the DST it states that a Needs Portrayal document dated 04.08.16 was produced. I never recieved this, the only thing I had was a telephone call on the 30/06/16 asking about my late fathers conditions; when I explained I had some documented evidence I was told to keep hold of it as it was not needed at this stage. On the DST It says it was completed on the 31/07/16 four days before the Needs Portrayal document. Can you advise if I should have had the Needs Portrayal document before the DST, so I could have added comments? Deborah – you should be given a copy of the Needs Portrayal. In my experience, many Needs Portrayal documents are full of holes and inaccuracies, and so it’s vital that you are allowed to comment on it. The assessment/review team must take into account all relevant evidence, including input form the family, so it sounds very suspicious that they are saying your information is not needed. Primary health need is what it’s all about, but I haven’t heard of a specific “test” other than a DST assessment. The CCG is likely to argue that if your dad’s care did not involve the services of a registered nurse (or only minimally) then it was not a primary health need. However, the Coughlan judgment was based on Ms Coughlan’s condition, not her care. So the CCG is wrong if it tries to apply different criteria. I think the Law Society’s comment (in my previous comment) is highly relevant to your dad’s case as you have said that he was placed in nursing accommodation because of his illness. So that’s worth quoting too. Don’t wait too long, there are time limits on appealing. Good luck. I wish you the best of luck. I have now received a letter from my solicitor saying she is not taking the case any further. In it she has also enclosed a letter from the CCG in which they refer to the ‘primary health need test’. I was not aware of an actual test – do you know what this would refer to? I am not sure where to start now but I will attempt to as I feel very strongly that dad was entitled to 100% fully funded continuing healthcare. If my dad had not had any health needs he would have remained at home with myself and my daughter. That’s the wording used in the 1946 NHS Act and is re-iterated in subsequent legislation and the NHS framework, which embodies a set of rules that NHS are supposed to follow. The NHS framework is not law and deviates somewhat from the law, thus giving rise to some unlawful outcomes. However, where it serves your purpose it’s worth quoting because assessment teams are supposed to be bound by it. The meaning of the words is the subject of interpretation. Local authorities have a duty to provide accommodation to those unable to look after themselves through illness or disability and that’s were their power of financial means-testing has its basis. You can’t claim to need accommodation if you can afford to provide it yourself. Health care on the other hand was made free to all by the NHS Act. So the question hinges on how much health-related care can a LA provide in addition to the provision of accommodation. 1. Happening as a minor accompaniment to something else. 2. Happening as a result of (an activity). 1. Providing necessary support to the primary activities or operation of an organization, system, etc. 2. In addition to something else, but not as important. So both words refer to something that is less than the main item or arises from it. In this case it’s pretty clear that the legislators intended to cover the situation where there may be a minor health need, but that need is substantially less than the need for accommodation. The NHS tends to take the view that the health need is minor if it doesn’t require the services of registered nurses, but I don’t think that was the intention of the legislation and it’s a view that hasn’t been upheld by the courts. Surely if that was the intended meaning the legislators would have chosen words that better embody such intention. “The judgment in Coughlan clearly established that where a person’s primary need is for health care, and that is why they are placed in nursing home accommodation, the NHS is responsible for the full cost of the package.” (from the summary of the Law Society’s Evidence to the House of Commons Select Committee Inquiry into NHS Continuing Care). In the case of my dad’s appeal I am arguing on three fronts. Firstly that the assessment was flawed because of the negligence of the team conducting the assessment. Secondly, the DST result clearly indicates that dad has needs equal to or exceeding those of Pam Coughlan, which the courts and the NHS framework say should qualify him for funding. Thirdly, he had no need of LA accommodation; his need was for 24 hour health care, which could only be properly administered in a residential situation, so his primary need was a health need. If he miraculously recovered from his illness he would have no further need of such accommodation. Can I ask you how did you know that the Decision Support Tool (DST) result clearly indicated that your dad has needs equal to or exceeding those of Pam Coughlan, I can’t tell from my daughters DST. I am in the process of appealing it has been very long and drawn out and now she is in Adult Social Care she has Quadraplegic Cerebral Palsy with very complex needs and I don’t think the DST boxes fit the information for my daughters needs as they seem to change the goal posts she has been in Continuing Healthcare (CHC) for 6 years. her condition will never get better it just gets worse. I have written to the local MP but they don’t seem to do much. If you don’t mind telling me how it may make more sense and hopefully help if I have ammo to fire back. Many thanks Steve. Have you seen a description of Pam Coughlan’s care needs (find it on http://www.nhscare.info)? AFAIK no actual DST scores are available, but from Pam’s own account, she would not score particularly highly in many of the domains. In fact someone with identical needs would most likely be refused funding, which makes a mockery of claiming to be Coughlan compliant. Apart from my dad’s comparative scores the argument I used at my his appeal was that the NHS is liable in law for the provision of health care. That law also permits local authorities to provide care, but *only* if it is of a nature that they can be reasonably expected to provide *and* that it is incidental or ancillary to the provision of accommodation. In other words if accommodation is a person’s primary need and their care is of a more minor nature then it might be allowable for social services to provide it and the patient can be charged for it. All other cases must be funded by the NHS by law. The other thing worth looking at is the recommendations of ADASS to social workers (https://www.adass.org.uk/adassmedia/stories/Publications/Guidance/commentary_oct07.pdf). See section 5h. The social worker at my appeal, whilst being aware of the document was not familiar with its content. Don’t be afraid to hold the social worker to account. He/she is on the MDT to represent the LA and should ensure that they do not act illegally by accepting responsibility for care that is not within their remit, even though social workers may be unaware of their legal obligations. Hi Steve, Thank you so much for your help. Can you just confirm to me please what exactly ‘merely incidental and ancillary to the provision of accommodation’ means please? No, although it might be a worthwhile resource to consider. I meant just familiarise yourself with as much of the information on this website as you can. 1. If you have funds you have to pay for your own health care – WRONG. 2. Need is determined by the nature of the care – WRONG. 1. The 1946 NHS Act requires the NHS to provide health care that is free at the point of need to all British subjects regardless of their ability to pay. 3. The NHS framework requires all assessments for CHC funding to be Coughlan compliant. This means that any person who has health needs equal to or greater than those of Ms Coughlan should receive CHC funding. All decision making revolves around determining whether the patient has a primary health need. The NHS cannot legally “decide” whether it provides funding or not. The law requires it to fund all heath care unless it falls within the remit of Social Services, who in turn must accept that responsibility. They can only do that legally if they comply with item 2 above. They are not permitted to determine the financial situation of the patient before they have satisfied the responsibility requirement. Myth 2 is what the DST is all about. It tries to assess need based on the degree of care required and the NHS often tries to argue that only care by a health professional counts as health care. However, the courts have consistently disagreed with this view. In his summing up of the Coughlan case, Lord Woolfe stated “It’s all nursing – caring for the sick.” Furthermore if a DST was applied to Ms Coughlan she would almost certainly fail to reach the NHS qualifying levels, yet the courts awarded her funding. I suggest that you go through your dad’s DST and compare his needs in each domain with those of Ms Coughlan (use the links provided by Angela Sherman earlier in this discussion). If you find that your dad’s needs are comparable or greater than hers then you would have a strong case for appealing the decision on the grounds that it failed the required NHS framework Coughlan compliancy. Even if your dad’s needs are lower, I think you may have a good case to argue that the decision to remove your dad from home care and place him in residential care depended to a far greater extent on his health needs than on a need for accommodation and therefore the council has acted in direct contravention of what the law allows. Thanks Steve. I think you are right. By the sound of it the solicitor is ditching my case anyway. I would love to tackle it myself but I’m not sure whether I am capable or not. I feel the solicitor I have/had is not doing her job properly. I felt that her comment about the fictitious person with a cut hand was rather sarcastic. I think that is brilliant that you won 3 legal claims contrary to solicitors advice. When you say you think armed with the information available on this website I could tackle it myself do you mean the publication that is available? I think that your solicitor’s comment is missing the point altogether. We are talking about people with chronic health need, whereas she is citing a person with an acute problem. Nevertheless the same principles apply. A person with a cut hand is not means-tested and asked to contribute or pay for the cost of their treatment, nor, if the wound was so serious that they needed to be hospitalised, would they be required to pay for accommodation. CHC funding is just a name for the responsibility placed on the NHS by the 1946 NHS Act for the care of all patients, but specifically as it applies to chronically ill patients. Based on your solicitor’s comments I would suggest you ditch her and either engage someone who really knows the ropes, or else just do it yourself, which is not difficult if you arm yourself with the info on this web site. In the past I have won three legal claims (contrary to the advice of solicitors) and in each case they were settled out of court at no cost to myself. I appealed my dad’s assessment with a letter pointing out that the assessment was not Coughlan compliant and I got a call from the area head of the CHC team to say that having looked at the first assessment he thinks some of the domains may have been underestimated and he’d like to do another assessment which might make a formal appeal unnecessary. Now that could just be a stalling tactic, but I think he’s looking for a face-saving way to settle this. The last thing the NHS wants is anymore high-profile court cases like Coughlan and Grogan. If you give the impression that you’ll go as far as it takes they’re more likely to want to settle. Your dad didn’t need accommodation at all; he already had that with you. It was his health need that dictated residential care, so how can that be considered either incidental or ancillary? If a person had a cut hand that required stitching by a nurse, for example, that in itself would not entitle them to fully funded residential care despite that being a clear health need requiring the care of a Nurse. I have to say I found that rather sarcastic. She appears adamant that I will not get the decision changed and has said if I want to appeal the decision I can but she will not. Hi Jane. Sorry to hear about your dad and all the difficulties you’ve been having. Both these clauses must apply otherwise the NHS remains responsible. From what you describe of your dad’s condition, and that his care was beyond that which could be provided for at home, and that he was regarded as lacking mental capacity to sign a POA, it sounds to me as though Social Services has acted beyond their remit and hence illegally. Was your dad assessed for CHC funding before he was means-tested? If not Social Services may have been negligent. A DST is a decision support tool, not a decision making tool. There is no pass or fail, though that’s often how it’s applied. Ms Coughlan’s scores on a DST would have been quite low in many domains, yet the courts determined she was entitled to NHS funding. Are your solicitors experienced in this field. It’s important to use someone with good knowledge of this area of the law. Don’t let Social Services intimidate you. This process is an uphill battle, but it is winnable if you’re prepared to go the distance. Thanks for the info. We have spoken to the CCG and they have confirmed that if client needs increase with CHC to what they already getting, the NHS will cap the extra??? Seemingly it’s a policy they have!!! Just to let u know we fought the case yesterday and won. A lot of info was gathered by myself and the husband but the assessor relied heavily on the daily reports and practically ignored other info we gave esp. the 24/48 reports as advised in National Framework. Make sure all carers completing daily reports add clients behaviour/psychological/emotional needs too. Well done for winning your case, Christine! I am a carer helping my clients husband with the renewal of the CHC assessment in the morning. We have already been told that my client will now only be eligible for night care 2 nights a week ( currently 5 with carers) and that the CCG now have a cap on CHC. I understand the nhs has a limited budget but is what we are being told by the CHC assessor legal. Christine – the NHS must fund all assessed care needs, and cannot cap Continuing Healthcare and leave a person without care. A person in receipt of Continuing Healthcare funding is the responsibility of the NHS, and the NHS has a legal duty to cover all their care needs, including their social care needs. Thanks, Angela, those link were most helpful. I’d seen the nhscare.info site before, but found it so poorly organised that I hadn’t dug into it far enough to locate the nuggets. I posted a comment elsewhere on your site about my letter of appeal, but in view of this new information I will be revising it. My father’s needs are at least equal to those of Pam Coughlan in a few domains of the DST and significantly exceed hers in all the others, so I think I have a pretty strong case. I also think that the NHS doesn not attach enough significance to the word “AND” in their own framework. Social services can provide care, but only if that care is “of a nature that an authority whose primary responsibility is to provide social services, can be expected to provide” AND “incidental AND ancilary to the provision of accommodation”. For this to be the case a patient’s primary need would have to be one of accommodation. My father already had accommodation in his own home. He was placed in residential care only because of his health needs. CHC funding is supposed to regard the Coughlan case as a benchmark, but does anyboy know the full detail of Ms Coughlan’s care needs? What would she score on a DST? Is there a copy of her DST results? In the absence of a detailed comparative document how can assessors possibly ensure that their decision making is compliant as required by the NHS framework and the law? This is a wonderful and very helpful website. We are just starting on the process but should have done this long ago. Is there any case law for severe dementia with severe physical problems? The assessor is an RGN and probably doesn’t have experience of dementia. Thanks you for your kind words, Roger. I’m glad it’s helpful. We see from many of the comments we receive about assessments and assessors that it’s not unusual for assessors to have little or no experience of the actual care needs being assessed, which of course is ridiculous. The assessment guidelines and the law (including case law such as the Coughlan case) apply to all kinds of needs: physical, sensory, cognitive, mental health needs, etc. At any assessment make sure you ask each assessor or contributor what their role in the assessment process is and what makes them qualified to carry out the assessment. If it’s clear that they don’t have the necessary knowledge and/or experience of the care needs, you can insist that the assessment is done with the right people undertaking it. As he does have more then £23k then my understanding is that he will have to pay – at least until it is used up! It was the assessor who called me back into the meeting room to give me the decision that dad would be given the FNC element, with no mention of needing anyone else to make the decision. I have actually found somewhere for dad to be cared for. However the care home has raised a question over him requiring observation at night – he currently has this in hospital (enhanced obs). I can’t recall this being raised as an issue/concern during the DST, so does this make the process questionable? Shouldn’t the hospital have flagged this as a current requirement? Someone else has said that this may mean that he has more eligibility for full CHC funding, with a review in a couple of months to see if this is still the case once he has settled in. All of his care needs should have been noted and considered during the multidisciplinary team meeting. The CHC process is also supposed to be a way of looking at what actual care is needed, as well as funding. If they have missed vital aspects of his care needs, write immediately to the CHC team and raise this as a serious matter – as it could put his safety at risk. If he is being left without vital care, you could also raise this as an urgent safeguarding matter with the Head of Adult Care at the local authority. When a person receives Continuing Healthcare, there is a review after three months. Thanks – I thought that the relative instability of his diabetes would be the key factor. The fact that he needs his blood sugars regularly monitored by someone else who would then need to act on the results appropriately – high or low, as he no longer has any warning symptoms of low sugars and would not be able to give himself extra insulin for a high sugar (he does not give his routine insulin to himself) and so the control of this is the key factor that can then influence other needs within his life. He does have other issues e.g. his falls history – not always diabetes related – and his dementia, which I know will only get worse and I realise that these will be viewed as social needs. It does all get complicated! I had read on your site about the assessors not being able to make the decision about funding at the meeting but the nurse said that dad would be eligible for the £112/wk and the social worker then asked about dad’s savings. I will check the papers when they are sent to me and will ask for a copy of the DST document if it is not there. The actions of the social worker at the end of the meeting, asking about your dad’s money, are quite inappropriate, as the actual funding decision hasn’t been made at that point – and your dad’s finances are none of the social worker’s business unless he genuinely has to pay for care. Firstly an echo of what so many have said, Angela, about your web site being excellent. I have been dipping into it over the past couple of weeks as I was advised that my father, who has now been in hospital for 6 weeks (hypoglycaemia and bilateral pneumonia secondary to aspiration), had had a Continuing Healthcare (CHC) assessment done and was being referred for a DST. My situation sounds very similar to that of Tony Y, who has posted very recently. My father is also a type 1 diabetic of almost 50 years, with a chronic history of poor control. He also has osteoporosis, a history of falls with resultant fractures and has Alzheimers (moderate). He is not felt to have capacity. He has also recently developed issues with urinary incontinence. I felt too that my father’s diabetes would be his primary health need. Prior to this admission he was coping at home with twice daily district nurse visits and some self funded carers to ensure that he was up and about in the morning and that he had had something to eat at tea time, plus family support. I have asked for all the paperwork from the meeting today which I have been advised that they will send me. I was also advised that being self funding we would be able to pick the nursing home that dad can go to, whereas if he were to get full funding then those places would be more restrictive in geographical terms. I was also advised that if I feel that there are changes to his situation then I can request a reassessment. Again any advice you can offer would be gratefully received, as it is my plan to appeal. Or have I done well to get some funding and should count my chickens! Thanks for your kind feedback on the website, Sam. I’m glad it’s helpful. A few points: diabetes in itself doesn’t necessarily make someone eligible for full NHS funding; instead it’s about the whole picture of day-to-day care needs. The assessors in the meeting today can’t make the decision about funding; they can only make a recommendation, which then goes to a decision making panel. If you disagree with the outcome, you can appeal. Make sure they send you a copy of the Decision Support Tool document, and then you’ll need to pick apart and challenge everything you disagree with, including things that have been omitted. Thank you for getting back Angela. Regarding the assessment I’ve been invited to attend I emailed the social worker involved to ask what this assessment was. She has told me that this will be the full DST as the checklist had already been carried out (unknown to me). It seems my mother scored a ‘A’ on the drug therapy section. Having purchased your book I’m now preparing for this assessment. As yet I’ve not been told who will be there, something that I intend to ask next week. I have made a list of my mother’s numerous health conditions to take with me. Perhaps I’m viewing this too simply but if my mother didn’t have diabetes complicated by vascular dementia and high falls risk (possibly because of TIAs) she wouldn’t need any social care having managed perfectly well up until February of this year. One thing I can confirm is that all those whose opinion I have sought (Nurse Consultant, Social Worker and the Lead Nurse from a possible nursing home) have Said that the chances of success are vanishingly small. If this site and your book did not exist I think the whole thing would have already been decided – and not in my mother’s favour. To be fair to those involved I don’t want to prejudge the assessment but I certainly need to be well prepared. I let everyone know the outcome. First of all thank you for such an excellent site. My mother is currently in an NHS ward but in the process of finding a nursing home. She is 87 years old and has been type 1 diabetic for 65 years. She is also partially sighted and registered blind (although she does have partial sight in one eye). I believe she is also incontinent. This is all complicated by the fact that she is suffering from either vascular dementia, delirium or both. Her diabetes is still unstable despite being in hospital since February. She’s no longer able to look after her diabetes herself. She has had a number of falls in the past and now has to use a zimmer frame. To me her diabetes is a ‘primary health need’. An assessment for NHS Continuing Healthcare has been arranged in a week and I’ve been invited to attend. The social worker seemed to think the chances of success are slim however from my own reading of your information I would have thought she stood quite a good chance but maybe I’m just cherry picking the criteria because that’s (obviously) my preference. I would really be grateful for any advice. My mother has Alzheimers and is profoundly deaf. Until a few weeks ago, she was receiving 24 hour care in her own home. I have power of attorney. She was receiving a contribution from the local County Council but we met the larger part of the costs. She has now been placed in respite care for the initial month and thereafter long term care in the same home. All payments to us have ceased. Due to her complex needs I have asked for an assessment in order to reapply for CHC. (An assessment was done about a year ago and turned down.) After a recent meeting where it seemed to be agreed that this would go forward for consideration, I have today received an email saying that with accumulated evidence they’re not sure it will go forward and we need another meeting as we are not in agreement, to review the Decision support tool. They are stating that my mother has now settled well in the home and staff have responded to the SENSE report to aid communication. My son and I visit often and know categorically that this is untrue. I have responded accordingly and agreed to attend the meeting in a couple of weeks. Apart from the fact that the home is not meeting her needs and do not have the skill sets necessary, (she is invariably left alone with no communication as they state they are too busy to talk to her; she is totally isolated, agitated, distressed or withdrawn), there is no money left. As the decision has been delayed I now have to sell her house in order to pay for her existing poor care, even though there is the possibility she could be awarded the appropriate funding. I believe the application will be refused and I feel determined to fight this unjust decision (I have quoted the legal cases, made statements to support the application etc, all to little avail it appears). Can you advise me where I could go for legal advice, bearing in mind I have no money personally for expensive legal fees? I am now beside myself with worry and distress. Hi Erica – I believe you are in Wales, and the guidelines surrounding NHS Continuing Healthcare are slightly different to England. (Care To Be Different covers the system in England.) If they are saying your mother won’t be put forward for consideration for full funding, they must be able to back that up with written assessment notes and clear reasoning. If the care home cannot meet your mother’s needs, raise this as an urgent safeguarding issue with the various authorities. I would be cautious about selling the house at this point – and instead refuse to pay care fees until a proper Continuing Healthcare decision has been made. There are law firms who can help, but if legal fees are a problem, you may first want to approach an organisation like AgeUK in Wales. My brother was granted CHC Funding in 2012, and on the annual review he was declined it. My brother was an MS sufferer and was bed bound with sweeped legs which meant pressure sores and groin ulcers were high. He was doubly incontinent and needed skilled nursing in a umber of areas – his communication, cognition were on the decline. After 2 years of local funding I managed to get my brother re-assessed and he was granted CHC again, and on the reassessment which followed 3 months later he was again granted it. Unfortunately the following week he passed away from septicaemia caused from the groin infection. I have been granted a retrospective review for the period from 2013-2015 for which an admin error on their side saw his Funded Nursing Care not being granted. I have a letter which states he should have had FNC. Because the error occurred he fell through their network so no follow up enquiry for CHC in 2013 happened, and local funding continued of which the top up was paid from my brother’s employment support allowance, leaving him with £20 left for him. I now have to fill out the retrospective review forms and need to know I am filling these out correctly. After my brothers assessment in 2013 I was told there and then he would not receive CHC. After reading through the comments above should the assessor have put it to the clinical multi-disaplinary team? I am interested in the 2 court actioned stories you refer to. My brother was in need of skilled nursing care for the last 4 years of his life and now he has passed away I feel let down by the whole complicated process. I have today had a meeting with my Dad’s Social Worker, CPN, the Nursing Home Manager where we completed a Checklist together. My Dad scored 1A*, 6A’s, 2B’s and 2C’s. The CPN has advised that a DST meeting will be taking place in two weeks time and I want the best possible chance of getting him the care he needs. He is under the threshold for paying for care but it is more about the level of care he requires and that the LA cannot fund what he needs. I need some expert help please. Our local hospital has asked for a Continuing Healthcare assessment based on my grandfather’s risk of falling due to cognitive issues following a stroke that has resulted in vascular dementia. He has 2 As and several Bs on the assessment done by the nursing staff on the ward he’s on. They have told me that should he get the funding it would mean him going into a nursing home (even though his needs will be 24/7 personal assistant type of care rather than needing a registered nurse to provide for them). My grandfather’s wife has dementia and is settled in a residential care home with dementia support. Why can’t my grandfather go to live with her in this home? I feel that to move her now will be extremely upsetting to her since she’s made friends and is familiar with the staff. We as a family feel that in insisting the funding goes to a nursing home even though the residential home can accommodate his needs, would have a detrimental affect on my grandmother if we were to move her to be with him or on him if we refuse to move her. Is there anything we can do? If your grandfather has 2 As and several Bs – this would be the Checklist (the initial stage of the assessment process). He’ll need a full multidisciplinary team (MDT) assessment before anyone can say that he will or won’t get the funding. He doesn’t have to be in a nursing home – unless that’s the only safe place he can be cared for. CHC funding can be provided for someone in a residential home or in their own home. The care setting (i.e. where the care is delivered) is entirely irrelevant to the award of the funding. My grandfather who has dementia spent the summer of 2014 in hospital after catching viral gastro enteritis. Two months of that stay was needless whilst the hospital made an application for CHC which was declined, had I known then what I know now I would not have applied. In the autumn he was released into my care and lives with his wife and my mother assists attend to his hygeine requirements as he is doubly incontinent and cannot walk. I am trying to get a week of respite and struggling because when we have to tend to him he is defensive of himself and carers cannot do the job as they are not trained in restraint techniques and they have legal obligations to so they just refuse to do it. Everywhere keeps referring us to social services who just push a financial assesment form at us but fail to understand we are not wishing to put him in a care home full time and just require respite. There is no facility which offers a weeks respite without a financial assesment in place and once he was in their care would they release him after – I doubt not! At some point this is going to end up in court as it feels as though you are being blackmailed into completeting a financial assesment when I have offered to privately fund his respite care but he needs to be placed in a specialist unit with restraint trained handlers. I became a full time carer for my father when my late mother passed in 2004. By 2006 my father was doubly incontinent, in a wheelchair paraplegic due to repetitive TIA’s and a few massive strokes and to top it all had behavioural issues. My rankings: Nutrition A (food cut up like Pam) Mobility A (wheelchair) MindState A (TIA’s) Behaviour A Continence A Cognition A Medication B Communication B Breathing	C EmotionalBase C SkinSores C.
I have been chasing CC since 2008 (when my father was transferred to a council care home on “health grounds” that morphed into social care). My father passed in 2014. It is ten years and counting. I now have enough paperwork and contradictions to take the matter to court. My one piece of additional advise: Video the person in need of care. If you have the strength and will. Thanks, Darren. Just a note – be very careful about videoing your father. It can (potentially) be seen as a breach of privacy, so be careful what you actually record. I know of other families who have made videos, and the care authorities have subsequently tried to discredit both the family and the video evidence. In the cases I know of, though, this has come to nothing – but it’s worth being cautious. Not all CHC assessors are bad! There are some very fair assessors out there that do a very supportive job at a difficult time. My advice would be to keep an accurate diary of the decline you see in your relatives during their disease process, as this evidence can be used in the decision making process. What you need is evidence in the 12 care domains to enable a fair decision to be made with the family. Or ideally the patient. Thanks for your comment, Jackie, and it’s always good to hear when assessments are carried out fairly. Are you a CHC assessor? If so, it would be really interesting to hear your views on why there is, nevertheless, so much maladministration in the CHC process, and where you feel the problems start. Wonderful website, a wealth of shared knowledge that I have been so grateful for. One quick question, do a Multi-Disciplinary Team have to be involved in the initial checklist assessment or at least LA as well as CCG, or do they only become involved once you have scored “positive” for a full assessment? Only how the do the LA know that they are responsible (once the money has run out!) for paying for our relative’s care? Presumably no one cares until such a time as the “self funder” is left penniless and the LA has to step in? Many thanks. I can’t help thinking that if the NHS spent less money on paying all these bureaucrats to deny CHC claims for years on end, there would be more money left to pay for the HEALTH care which our loved ones need. We are now into year 3 of appealing against a refusal of CHC for my mother in law, who died earlier this year. What a total waste of taxpayers’ money (and everyone’s time). Couldn’t have said it better myself, Anna. My 85 yr old mother who cannot walk due to ulcerated swollen legs, virtually blind, and very hard of hearing even with an hearing aid. Released from hospital after an infection, my father who was of poor general health was her primary carer, and was ill when the transport brought her home. Sadly a week later dad taken into hospital with lymphoma which he has now been transferred into a hospice for palliative care. This issue I have is that mom has been deemed fit to stay at home, even though she cannot get out of her chair where she stays 24/7, cannot see to do anything, cannot answer the phone as she cannot hear it. Today by chance I learn that her care has been outsourced to a local company, but the question of who buys food etc came up. I am not prepared to support her, as I am going through divorce, and my own future is unknown. Bills are in dads name, so when he passes I have no idea of what will happen. Mom is being very awkward, and horrible to carers, nursing staff, social workers. That sounds like an extremely difficult situation, Ian. I would strongly suggest taking some advice at this point – to make sure that, as far as is possible, financial and legal matters are in order for both your father and your mother. There may also be a question around safeguarding, if your mother is not safe at home. If you need any contacts to help you, let me know. Dear Angela, I have been reading about all the good work you did for your own parents. My cousin and I have been struggling for two and a half years to get funded primary healthcare for my late aunt. We first submitted a claim in Sept 2012 and submitted full details and narrative by 24 Jan 2013 – they did nothing at the time and had a period of over 12 months in which to carry out a full healthcare assessment on my aunt whilst she was still alive. She unfortunately died on 19 Dec 2013 and since then they have been trying to obtain medical and health records for my aunt in three different homes. As at today’s date they have still not obtained records from the last home where she died mainly due to their incompetence and inefficiency. We have written complaint letters to the CEO of the CCG, who I have to say is completely ignorant and incompetent. He wrote a reply last week to say we would get the Needs Portrayal document by 15 April and an outcome by 30 April. His sidekick has just sent a progress report stating they do not have all the documents and are therefore unable to give a timescale – I have now asked what has changed in 6 days !!! My wife is an SRN specialising in dementia and frailty care and she completed the Application Form with the full details. If they fail to obatoin the records can they not resort to the information in the application form prepared by a senior nurse. WE have commenced copying all our correspondence to the local MPs to demonstrate what a bunch of idiots we appear to be dealing with. She had extremely bad dementia and other chronic conditions She was in Homes with nursing care from 2005 until 2013 when she died. You say that the NHS pay ALL fees for continuing healthcare but it is not open ended there is a limit but I can’t find out what that is. Continuing Healthcare covers all assessed care needs and there is no limit and, for that reason, it cannot be topped up either. It should not need to be. There are people in some of the most expensive care homes receiving 100% funding, as they should be. Some CCGs tell people there’s a cap or a limit, but this is incorrect. Any fixed or capped rate applies only to local authority care rates, not NHS. “If nursing care is just ‘incidental or ancillary’ to the provision of accommodation” what does that statement mean exactly? It’s vague, isn’t it – and it’s a good question. One of my local authority contacts confirms that it really means an add-on or occasional care, but where the main reason they are in care is the accommodation. There must be thousands of people in full time care whose nursing care needs are more than just occasional or an add-on, and yet who are paying everything. My two sisters and I have our mother currently in respite residential care – placed by Leeds LA social services after our mother was discharged from hospital prior to Christmas. 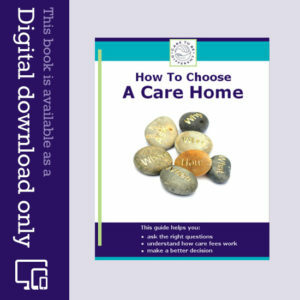 My mother originally advised that she wanted to remain in her home but since having received care in hospital and 24 hour care the residential home has now conceded that she is unable to live independently. My mother has diabetes and memory problems. Social Services are now pushing for her to return home for a 4-6 weeks assessment – advising that they will be able to effectively ‘meet her needs’ despite us contesting that my mother will have no cover during the night and despite our mother’s doctor backing our decision. The Social Services have not listened to our mother, us, her doctor or indeed the concerns of the residential care home staff in regard to our mothers’ needs. She has only now 2 weeks left of LA paid funding and obviously our mother is extremely distressed at the thought of having to return home. Can you give us any help or advise to aid our continuing battle with the Social Services? Thanks so much for putting this website together following all the work you undertook with your parents. Both my parents went into care homes towards the ends of their lives and it is possible that the FNC could have been extended to CHC if I had been aware of the information provided here. I now have an aunt in a nursing home and has been for nearly four years and her condition has progressivley deteriorated. She is in receipt of FNC but otherwise is self funding She is bed bound, suffering from Lewy’s Body which I understand is a form of dementia. I have asked for a CHC assessment as I know that some other residents/patients in the home are receiving this. I am also aware that there is a possibility of backdating CHC ( with a deadline of 31st March 2015 ) I want to call the CCG to chase up the assessment and make them aware I know enough about CHC such that I will not be fobbed off so will review this site in detail first. Any other suggestions? My husband got CHC in January. He has early onset dementia. They are now taking it away even though he has had to move from a resedential home to a nursing home. They say his needs have changed. The only thing that has changed is that he no longer is mobile, and either sits or lays. He is 54 years old.He is doubly incontinent, and cant feed himself. Hi Caroline, I have so much sympathy. Recently, it seems to be more and more the case that once a patient is settled in a nursing home the CCG usually via their hit squad the local CSU, will attempt to remove the funding. This is happening in hospital discharge cases too. They push the patient out to free up a very expensive bed. Then they pay for a while…. knowing that soon they will stop the payments altogether…. often without real cause. If you have the strength to, appeal against everything. Personally I don’t pay the council for two patients in our family that had funding withdrawn. The money is there but I will spend it on lawyers when the council takes my loved ones to a court, before simply paying it out. I wish you well. This is sadly very typical Caroline, and many families report the same thing. If they are taking it away without having gone through a thorough reassessment process, this is flawed. And if they did do a proper reassessment and decided to remove the funding as a result, you can appeal. If he is now in a nursing home, it sounds as though he should – at the very least – be receiving the weekly Funded Nursing Care (FNC) payment, but this is of course no substitute for a proper reassessment process. I am sitting typing this waiting for my husband coming home from the hospice who have kindly giving me one weeks respite. I have been refused C.H.C twice he cannot stand, walk, feed himself is doubly incontinent suffers hallucinations some that are frightening to him and is totally confused so therefore is in a hospital bed in our living room 24 hours a day. It totally bewilders me that both doctors and nurses who pay home visits say he is an extreme example of someone who should be receiving C.H.C. but assessors say they can see no justification as to why he should get it I spend a lot of time caring for my husband so find it an ordeal going through the process but it is medical staff and a lot of them that have encouraged me to see it through . Rightly or wrongly sometimes I think this country is crazy. Wishing you well, Sue. Remember that, just because a person appears ‘stable’ doesn’t mean they are necessarily ineligible for funding. Assessors must look at the underlying needs, as if no care were in place – not the needs as they appear when being managed. Hi, I have been reading all information and comments with great interest as my father has to fund his care in a residential home although he is blind, suffering from terminal cancer, sometimes incontinent and confused(not sure if it is dementia). However, we reside in Northern Ireland and I fear we can’t apply the same law cases.Can you advise further? Hi Alieen – Northern Ireland is not well served by national guidance unfortunately, and I believe each individual health board sets its own criteria for Continuing Healthcare decisions. Also, as far as I’m aware, the Coughlan and Grogan cases don’t apply in Northern Ireland. It’s not a good situation for families where you are. Just wondering Angela, in point 5 above, you state that one should ask the assessors how familiar they are with the law. Can you outline precisely the acts with which they need to be compliant. Thank you. NHS assessors are governed by the statutory NHS Commissioning Board and Clinical Commissioning Groups (Responsibilities and Standing Rules) Regulations 2012. In these Regulation (I think it’s section 6) there is a requirement for the National Framework guidelines to be followed in Continuing Healthcare assessments. As many of us know, these guidelines are broken in so many cases. Regarding the Coughlan case, many assessors quote what seems to be the NHS line that the Coughlan case is ‘old’ and therefore not relevant. It is very relevant – and it informed the National Framework guidelines: If nursing care is just ‘incidental or ancillary’ to the provision of accommodation, then a local authority can provide this care, but if the care needed goes beyond this, it is by definition an NHS responsibility, and the local authority will be acting illegally if it takes responsibility for it, means tests, asks for top-ups, etc. Cora – normally there’s an initial ‘screening’ assessment (the Checklist), then the full assessment (using the DST form), then a repeat DST can be done if needed – and this is all at local level. There’s often a dispute resolution meeting held at local level too. However, this is all done by the NHS, not the local county council. If you need one-to-one help and advice with this, we may be able to put you in touch with an adviser. Hi I have been advised by a friend of mine to read through the Coughlan and the Grogan case as my mum is slowly being relieved of any money she saved throughout her life by the care system. She was diagnosed at 60 with Early onset alzheimers and due to the 24 hours care that was required she was admitted to hospital three Christmases ago, she was then released from Hospital on the condition she was placed in full time care. We did this and are currently paying £1600 per month, she is double incontinent, needs assistance with feeding and dressing although she is mobile. She cannot speak properly as the disease has affected her frontal lobe therefore her communication is sporadic. We have been informed by the home that her care is not nursing and therefore she does not qualify for NHS funding. I find it ridiculous that if we lived across the border in Scotland this would be free care. Have you any advice? Thanks for your comment Alison. If you need one-to-one advice about your specific situation, we may be able to put you in touch with someone who can help. You’ll also find lots of helpful articles on our blog about the funding assessment process and how to argue that your mother’s care needs are nursing needs. In Scotland, ‘personal’ care is better funded than in England, but long term care is not free across the border. People often face the same battles unfortunately. It’s a difficult situation for many familes right across the UK. Thanks for your comment Peter. There’s more information on the Theft Act in this article: http://bit.ly/13EVhst. Clients tell us that assessors actually admit that the denial of NHS funding for healthcare/nursing care is budgetary: the NHS does not have the funds (or does not want to part with them) and so deliberately renders someone ‘ineligible’ for the NHS care they’re legally entitled to. Assessment notes contain misstatements of fact and play down health needs to ‘justify’ the outcome of ineligibility. Assessment scores now frequently get lowered after an assessment – to put someone below the threshold for funding – even though this should happen only in exceptional circumstances, according to the Dept of Health’s own guidelines. Many assessments are not Coughlan compliant, many assessors have never heard of the Coughlan case, some assessors admit they’ve never read the guidelines they’re supposed to be adhering to… And so it goes on. And it’s all designed to deny someone the NHS care they are legally entitled to – and to strip them of their personal assets to pay for care that the NHS has a legal duty to provide. Right from the start of the process many people in health and social care persuade families that they have to pay for care, when in fact they don’t have to pay at all. Where this is deliberate, it is state theft of personal assets. I don’t have individual examples of prosecutions, and I suspect this is a very difficult battle for a family to pursue. Can you back-up your claims concerning assessors being in breach of The Theft Act or personally liable to be sued? Are there cases where the police have prosecuted under The Theft Act or assessors have been sued? Delighted it’s helpful Mo. Thanks very much for your feedback. Wishing you well in the fight for your mum.